I’ve always been massively impressed by friends who make their own beer (although the formula to impress me is straightforward: The more fancy equipment, the more wowed I am). 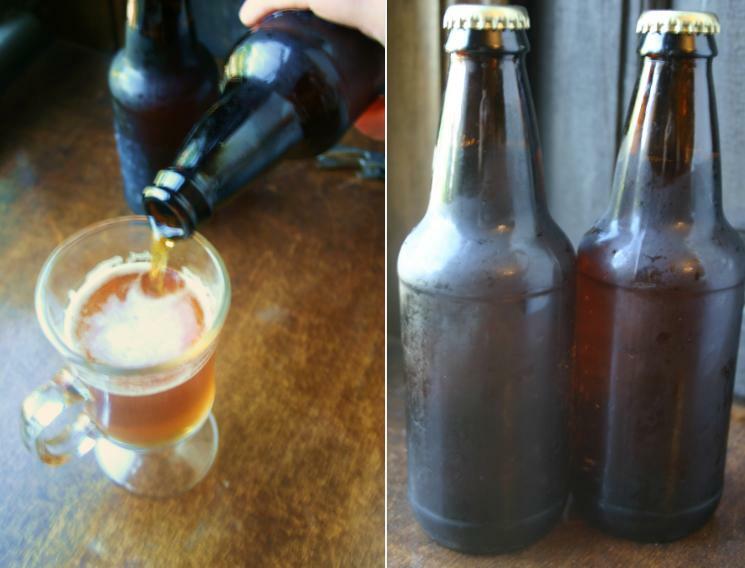 After trying this recipe, I’m still amazed by people who make good beer. 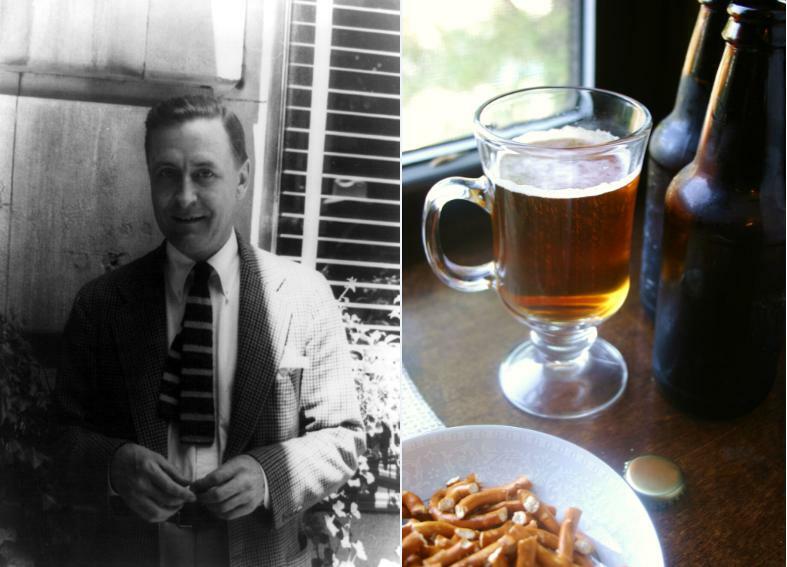 But, as it turns out, it’s fairly easy to make beer the way Fitzgerald did—that is, cheaply, quickly and with results that are technically drinkable. Princeton University library’s collection of Fitzgerald papers includes the writer’s personal recipe, written in his own hand. It’s similar to many other Prohibition-style brews in that it requires only barley malt, sugar, yeast, water and a bit of time (not too much, though, since one’s patience can only stretch so far). I’m going to go ahead and guess you probably won’t make this recipe for your Gatsby party. But for those who do, Fitzgerald writes, “the genuine fluid awaits your pleasure.” As for quantities, he notes, “about 50 bottles should be obtained”—which should be enough for a solid day and a half, if you drink the Fitzgerald way. 1. In a small bowl, dissolve 1 teaspoon sugar in 1 cup lukewarm water. Add yeast and let stand 10 minutes. 2. Meanwhile, in a large stockpot, bring 1 gallon water to a boil. Reduce heat to medium and add malt extract and 2 cups sugar. Stir until dissolved. 3. Fill fermentation bucket with 3 gallons cold water. Pour malt mixture into bucket, then add additional cold water until bucket is nearly full, a few inches from the top. Add yeast and mix well. Seal lid and let stand at least 48 hours, up to 7 days. 4. In a large saucepan over medium heat, dissolve remaining 1 1/2 cups sugar in 3 cups water. Let cool 15 minutes, then add to fermentation bucket. Stir, then siphon liquid into sterile bottles using rubber tubing. Cap and seal bottles. 5. Let stand 3 to 4 days in a cool dark place. I’ve started brewing beer myself in the past year, and I do love it. It’s a bit of fuss, but well worth it, when you finally get to crack open a cold one that you brewed yourself. The one thing Fitzgerald didn’t emphasize in his basic recipe is the importance of sterilization of all the equipment – without that, your readers will likely end up with a whole mess of bacteria or mold in their brew, which will certainly dissuade them from trying again. I hope some of them do try it, though. They might be hooked! Very good point – I’ll emphasize that in the recipe. Something about our “modern” cooking that shows how far we’ve come … less gross mold. Ah perfect with The Great Gatsby still out. Some friends of mine make their own wine, so they’ll be interested in this. Wow, making wine is my next frontier – I’ve really wanted to make dandelion wine, but I fear that might have to wait until another summer. So cool! I just started reading the Birthing House by Ami McKay and was looking for a recipie for the brown bread they talk about, the complete recipie is not in there so I was just looking on hear for it! Thank you! I’m not familiar with that one, but it sounds delicious – I’ll have to look it up! What a great idea! I am putting together a roundup of literary drinks and cocktails for an upcoming post, and your Prohibition Ale is so perfect. Please let me know if our including it is not okay. Of course, I’m honored – thanks for including me! This cracked me up, as do all of your posts — I want to comment on them ALL, because each one contains multiple lines that have me laughing out loud. “…which should be enough for a solid day and a half, if you drink the Fitzgerald way.” Too, too funny. Thank you for this lovely blog! Thanks so much for reading, Julia. Sometimes I’m reading these letters and actually laugh out loud – who knew the Great Writers were also such comedians? His quote in Germany is terrific “There is less than there was when I got here.” Can you tell me where you heard/read that?